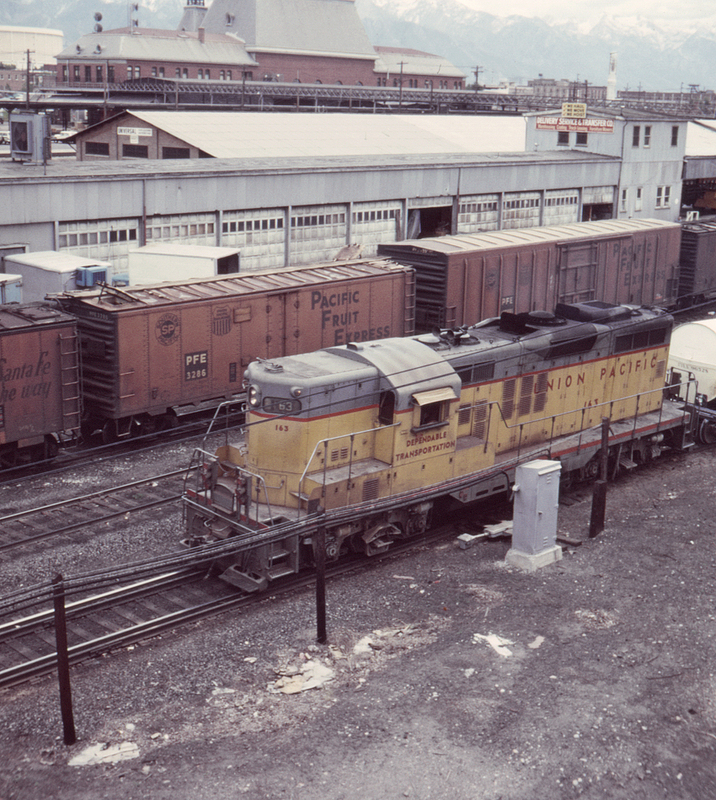 A northbound local is passing the Union Pacific's Salt Lake City depot (visible in the background) on the road's former Oregon Short Line trackage. Salt Lake City possesses a strong industrial base, so this local could be servicing industries almost anywhere between Salt Lake and Provo. This view is from a handy pedestrian bridge that once provided access to the station from the area west of the tracks.